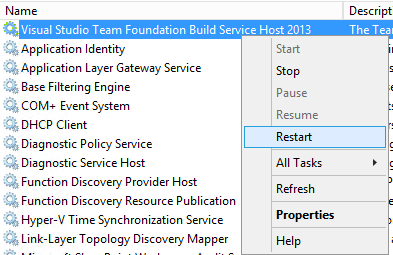 Recently I installed TFS 2013.2 and modified some Build Templates. I also installed a separate Build Server that executes these builds for me. An error occurred while copying diagnostic activity logs to the drop location. The located assembly's manifest definition does not match the assembly reference. The strangest thing was that my drop folder could be found and that the logs were there as well. And my error was gone! It sure looks like this little trick has worked for me too. Thanks for your posting! Cool, fixed the same issue for me as well. Thanks for that posting. Real crap! TFS assemblies in 2013 depend on VisualStudio dlls ! Yes, but you can include them in you r output and it will work..
HI,Where i need to download those dll’s.Please help me.. Working great , thanks .